Gas furnaces play a big role in maintaining ideal temperatures in the home. When furnaces malfunction, the circulation of much-needed warm air becomes compromised. In today’s article, Matheson Heating and Air, one of Michigan’s premier heating and air conditioning companies, talks you through the most common gas furnace problems and the corresponding solutions. The primary task of a gas furnace is to provide heat. When your equipment fails to produce the adequate amount needed for ideal indoor temperatures, the problem might be coming from a faulty thermostat. Confirm this by checking to see whether your thermostat dials are set to the right positions. Next, inspect the different components of the furnace. Check to see if the batteries need to be replaced and if the circuit breakers or fuses need to be cleaned or repaired. A gas furnace that powers on and off too frequently disrupts the temperature consistency of your home. It can also result in increased energy costs and long-term damage to your furnace. Overactive gas furnaces can be caused by a malfunctioning thermostat, rusted flame sensors or dirty air filters, to name a few. Stay on top of this problem by enlisting the help of Matheson Heating and Air, one of the leading HVAC and plumbing companies in the area. It’s not enough that your gas furnace produces enough heat for your home. Smooth and quiet operation is also important for optimal comfort. The source of the problem depends on the type of noise your gas furnace is producing. As such, identifying furnace sounds can help you describe the problem to a professional better. Common problematic furnace sounds include scraping, thumping, humming, squealing and banging. These sounds indicate a slew of gas furnace issues such as broken blower wheels, broken motor mounts, lack of lubrication or undersized ducts. Identifying the main causes of gas furnace problems can be tricky. It’s best to consult a professional for proper diagnosis and repair. 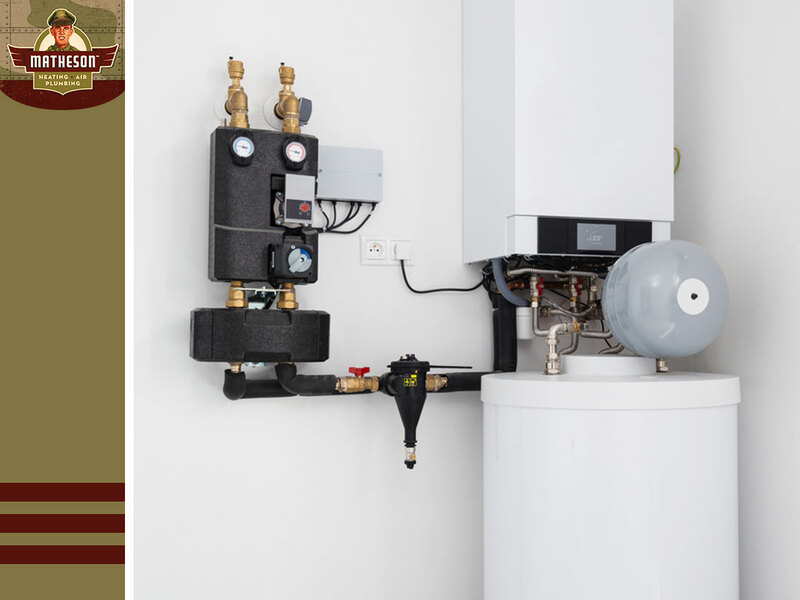 Matheson Heating and Air specializes in heating, air and plumbing services such as water heater replacement and air duct cleaning. We’ve been in the industry for over 70 years, and we don’t plan on stopping anytime soon. Call us today at (248) 716-6416 to request an appointment. We serve Bloomfield and West Bloomfield, MI.